through the deployment of its products in the most prestigious casinos. Link King was installed a month ago at the casino Barrière d’Enghien-les-Bains and its launch was developed according to the high expectations of the French operator. 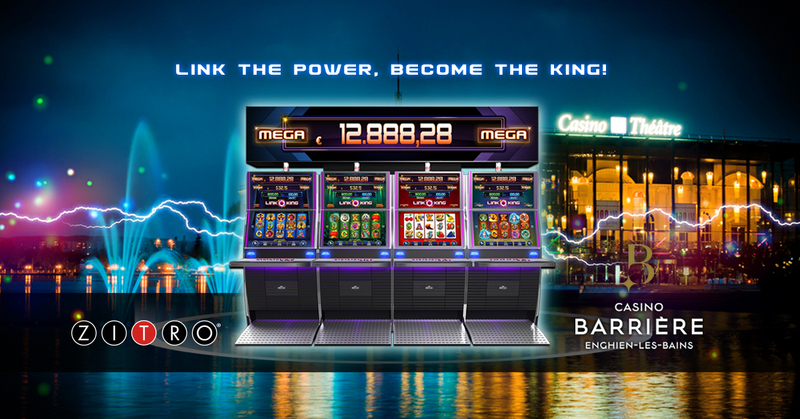 As Laurent Balmier, Managing Director of the Casino Barrière d’Enghien-les Bains, has declared: “Link King is a very attractive option to diversify the current range of games that the Casino Barrière d’Enghien-les Bains offer to our customers. We have seen how this product is having a great reception in the global market and we are very pleased to be able to offer it in our establishment”. For his part, Philippe Boulay, director of the SFM Mascot, has expressed his gratitude to the Barrière group for “the opportunity given to Link King of Zitro to prove its value in the largest Casino of the Group, and of France”. Nadège Teyssedre, Zitro’s Regional Director for EMEA, said: “Link King is an irresistible game that is getting tremendous success in the international markets and we are delighted that the customers of the Casino Barrière d’Enghien-les Bains can now enjoy it. We would like to thank Casinos Barrière for trusting in us and we are convinced that the results of Link King will be formidable as they are in many other casinos in Europe”.